Streaming technology matters for webinars and video. This is because it very directly impacts the number of viewers who can watch your content. If you place technical barriers in front of your audience, your audience numbers will drop. Think about it like a parcel delivery service. If you want to send 1000 parcels to different locations, you can’t just send them by truck. The locations with nice wide roads and no local access restrictions will be fine and will get their parcel. What about the poor guy who lives up a narrow lane, or the crowded office where there’s no access or parking possible. That’s why delivery companies use trucks, vans, planes, boats, trains, bikes and soon even drones! You need to overcome all the possible distribution issues you might come across. It’s exactly the same for online webinar and video distribution. There’s not a single distribution solution that will remove all barriers and reach your entire audience. Some viewers may be at home, some may be in crowded offices with limited connections, some may be using mobile devices that only support one way to recieve content (e.g. iPhone/iPad) and some may have security restrictions that block types of traffic. To take this analogy further, some webinar platforms even require specific plugins to be installed before they can join the webinar. That’s like insisting on you having a specific design and size of mailbox before you can receive the parcel! It sounds like a bit too much, right? 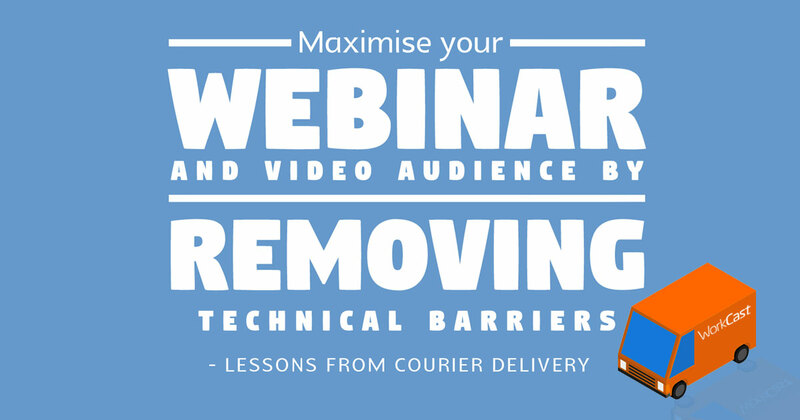 All this is just putting up barriers and reducing the size of your webinar or video audience. You need to ensure that your content is distributed in a way that everyone, everywhere and on any device can join with a few easy clicks. No installs or barriers. The original video and webinar solutions used Adobe ‘Flash’ streaming. Flash was installed on almost all devices and for a while was the ubiquitous solution. Over the past few years, a number of fundamental security issues had led to flash has been removed from many new devices including iPhone and Android. It is also blocked increasingly by companies worried that it can be exploited by hackers to gain access to their employee’s workstations. Flash also has a problem when lots of users wanted to access content together, like in company town hall events. Flash streams are like a direct pipeline between the platform and the viewer. All the content is pushed down this pipe and everything works well when the pipe is setup properly and the audience is spread around so the pipes are separate. However, this starts to be more of a problem if there are many viewers in the same office. In this situation every viewer needs their own pipe and as the pipes get more and more they start to get tangled and there are just too many to fit through the available space. To address these problems, some of the major companies got together and looked for a better way to provide video content online. A way that would work natively, securely on all devices without plugins. They identified that video and webinar streaming should work just like normal internet traffic – it makes sense to do this because then it won’t get blocked. If you can access a website then they rationalised that you should be able to watch webinars and videos too – live or on-demand. Normal internet traffic is sent via HTTP or HTTPS when it is securely encrypted. This is different from streams, as it’s not a pipeline of information like flash, but instead it more like a chain of beakers (packets). Basically the beakers (packets) are sent from the webinar or video platform over the standard internet just like normal web pages and put back together into a single stream by the player. Although this seems like a step backwards, it has advantages that the packets should always get through as they are just normal website traffic. The packets can be copied and shared (just like you would copy a file). If someone on your network or using the same internet provider has already received the packet then they can just give you a copy and don’t need to go back to the webinar or internet provider. Obviously this can all be done very quickly but it means that by giving each network the packets once, the network, office or group of viewers can all see the webinar or video. This vastly reduces the amount of network needed and makes the entire process much more efficient. So – what does this mean for me running webinars and sending video? Webinar and video platforms need to cover all bases, just like delivery companies do. We need to accommodate all the delivery solutions that may be needed to get to the device, workstation and network of the audience. Unfortunately, technology providers couldn’t all quite agree but they came pretty close. Most backed MPEG-DASH but Apple, although involved in the MPEG-DASH project, use HLS for HTTP streaming. They are similar approaches. 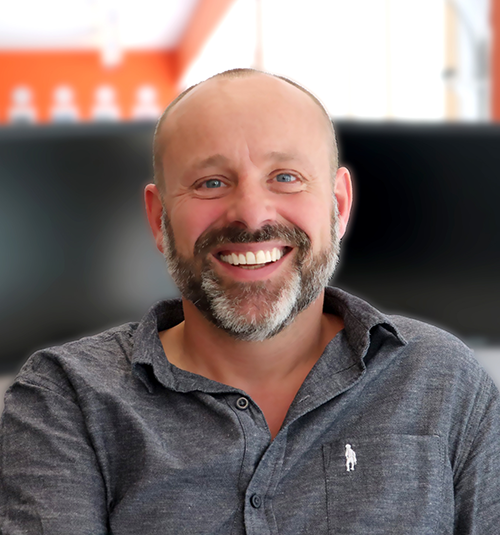 The critical point is that to maximise your audience for any webinar or video, you need to make sure the platform uses Flash (to look after older systems), HLS (iPhone, iPad) and MPEG-DASH (for all the newer devices and for groups of people in offices). If you do, you will see that your webinar attendances and video viewers go up because you have removed all the barriers. The best webinar and video platforms today, change their attendee streams as standard, to fit the appropriate solution to the device and network configuration of the attendee. In this way you can ensure the absolute maximum penetration of your content regardless of device, location, connection or corporate restrictions. Using this approach you will see more leads and provide your audience with a far better experience.